INS LifeGuard has launched a new medical alarm system and communications hub this month that features a suite of internet-enabled extras for retirement living and community care organisations to offer clients. 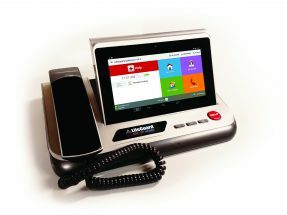 The SmartHome IP Dialler (IDP) features a dock with a purpose-built tablet and telephone to allow the provision of optional services in addition to the medical alarm system and 24-hour professional nursing monitoring service. IPD features a built-in M2M (machine-to-machine) SIM card designed to eliminate the need for residents to have a home telephone line. The device can also operate off an existing Ethernet or Wi-Fi connection with the M2M SIM card as a back-up. 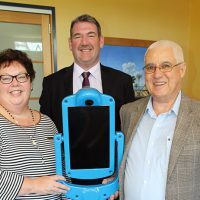 Villages and community care organisations can use the technology to send messages and notifications to one individual, a group, or all residents and evacuation alerts can also be issued to each resident in real time, according to INS LifeGuard. The services can be covered under CDC or NDIS funding models and assistance provided with case management through a free online reporting and review portal, said Claude Rafin, INS Group managing director. “Our team has worked hard to develop products and services that enable people to remain living at home for longer whilst helping them manage any chronic health conditions. “Importantly, the SmartHome IPD can directly replace analogue-based medical alarm systems, is fully-NBN compatible and inexpensive, yet still offers clients many additional benefits leading to improved health, independence, and greater security and wellbeing,” Mr Rafin said.